Kriegar Ascot Trapper Pocket Knife - Stainless Steel Blades, Genuine Mother Of Pearl Handle, Brass Liners, Nickel Silver Bolsters | BUDK.com - Knives & Swords At The Lowest Prices! 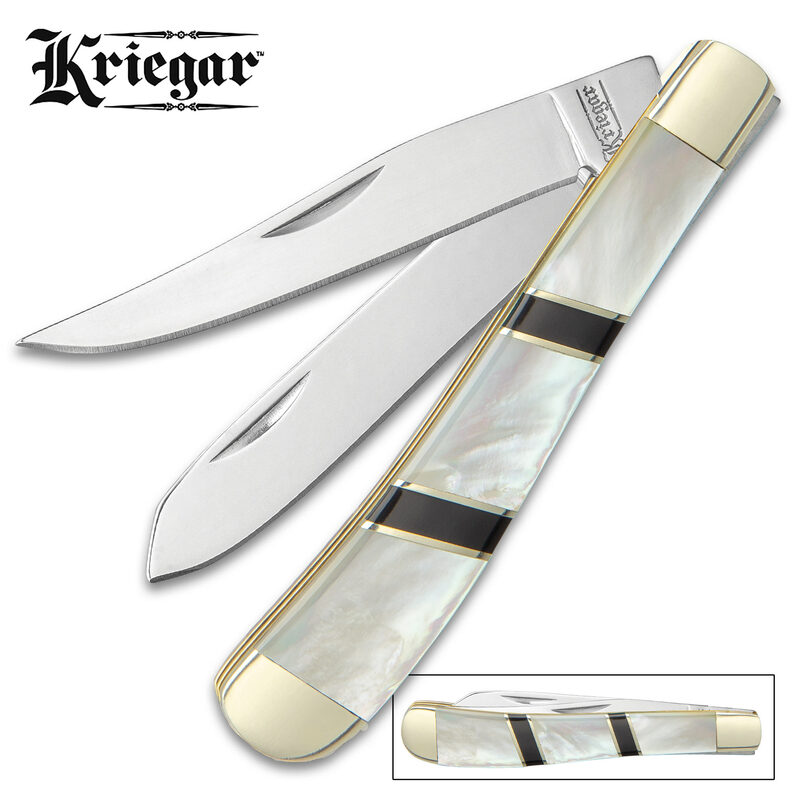 Quality, style, and value are the words that come to mind when you think of Kriegar knives. The Ascot Trapper is classically designed with legendary quality and handcrafted with scrupulous detail that’s guaranteed to impress. 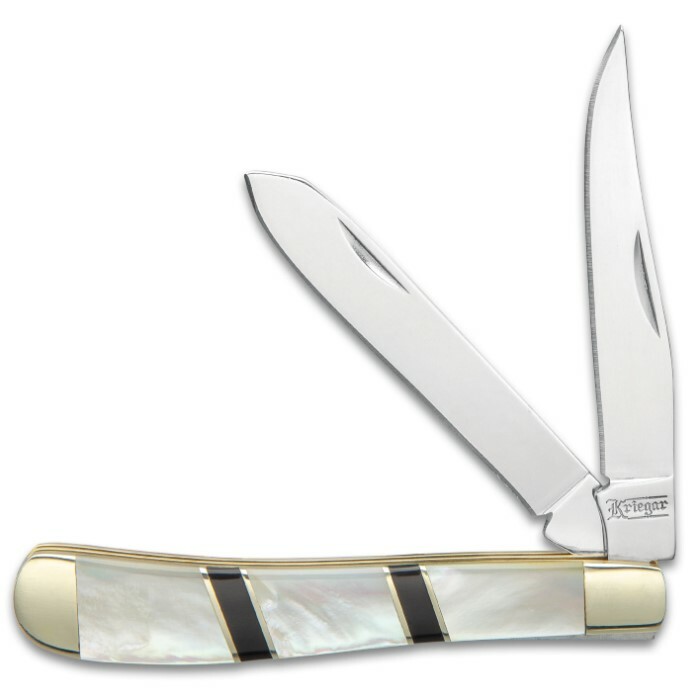 The pocket knife has keenly sharp, highly polished stainless steel clip and spey blades, which feature nail nicks for ease of opening. 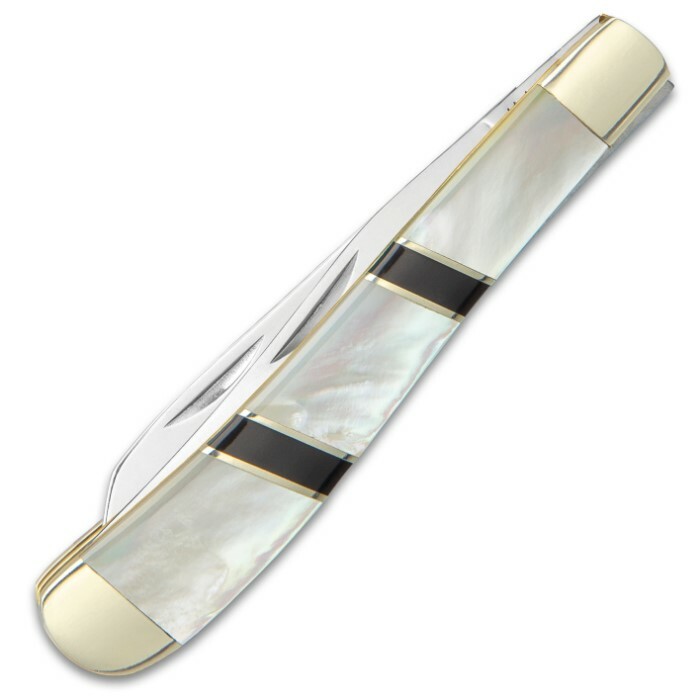 The handle scales are crafted of genuine white, iridescent mother of pearl with black accent bands and brass spacers, giving it an unmatched elegant and rich feel. The handle also features polished nickel silver bolsters and bright brass liners to complete the handcrafted, opulent look. The trapper pocket knife is a comfortable 3 3/4” when closed so that it drops right into your pocket for everyday carry.